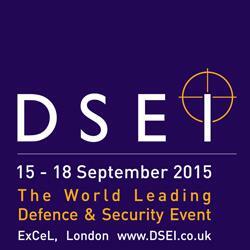 CST will be exhibiting at DSEI, which is being held at ExCeL London on 15 – 18 September. Visit CST at stand S7-265 where the company will present its latest products and features such as the pan and tilt unit with integrated laser illuminator, and a visual Spectrel DUAL long-range camera for day and night surveillance. It will also present cameras for situational awareness designed for land and sea applications. PTZI-1000 is a pan and tilt unit with integrated laser illuminator and long-range visual camera for homeland security, CIP and coastal surveillance, among other applications. Save crew and assets by mounting cameras on the vehicle to have a 360° field of view of the near surroundings. Open frame camera solutions entail sensors and lenses designed for easy integration into existing surveillance systems. CST looks forward to welcoming you at DSEI 2015 at stand S7-265. For further information, or to book a meeting with CST, please visit the company website.